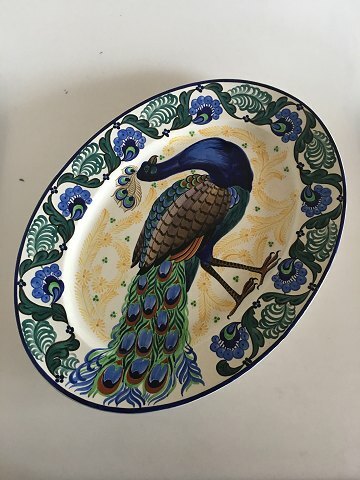 Aluminia Earthenware Oval Tray #736/632 with Peacock Motif. Measures 62 x 45 cm (24 13/32" x 17 23/32"). In good condition without any chips or reparations.